(Haverhill) Undefeated Whittier was terrific on both ends of the court and gained its fifteen win routing Greater Lowell, 70-40, in Commonwealth Conference action on Tuesday night. Whittier has two losses on their record but those were exclusion games (don’t count in the standings) with Division 1 Brockton. The way this game went was a big surprise because in an earlier meeting in January, the Wildcats (15-0) needed a strong final quarter to get a, 53-47, win. 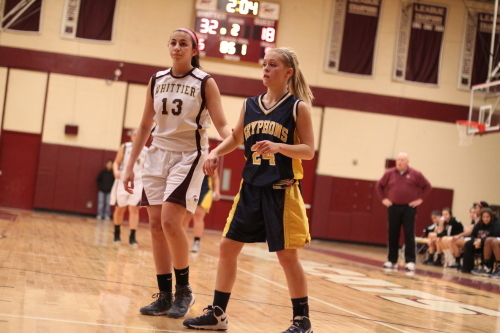 This time any doubts about the outcome were settled by halftime as the home team led, 36-18. 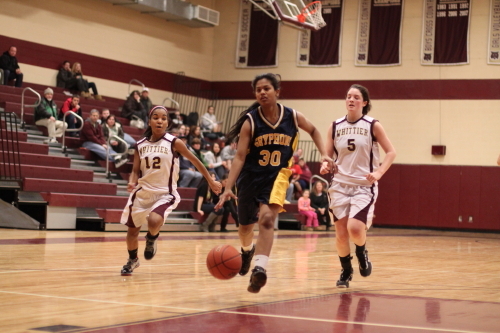 The Gryphons (13-4) had serious trouble with the Whittier pressure from beginning to end. 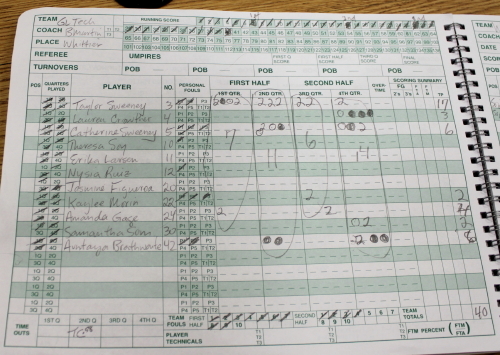 I counted thirty-six turnovers against the visitors from Tyngsboro. Seven of those mishandles were turned into instant layups. 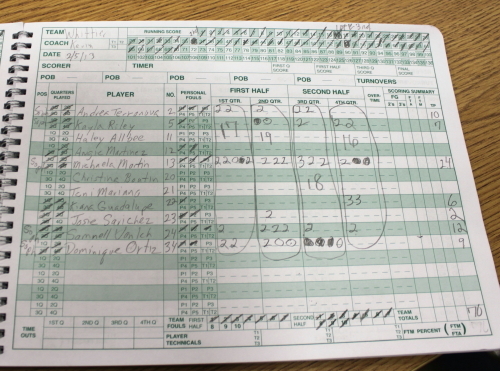 The Wildcats were willing and able to use their speed on almost every possession. 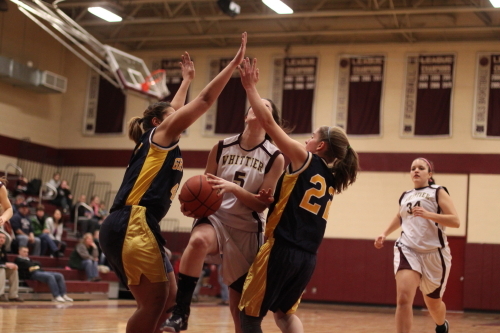 They broke out after rebounding and many times outnumbered the defending Gryphons as a result. Trying to play catch-up defense led to many GL fouls. 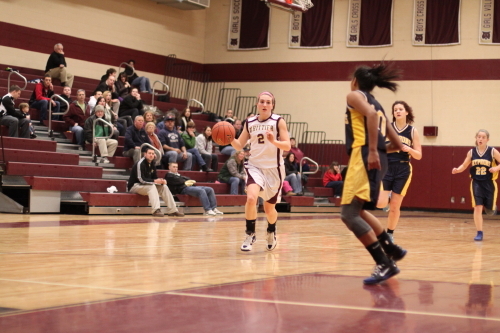 The Gryphons leading scorer, Catherine Sweeney, was a foul magnet and ended up playing very few minutes in the first half. 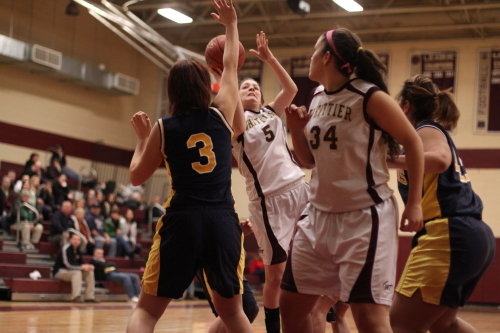 Greater Lowell, despite six turnovers, was in front, 5-4, in the first four minutes. 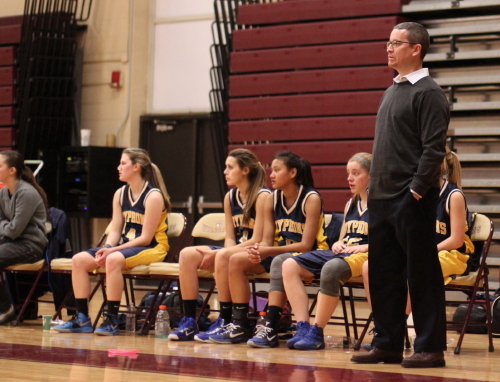 The rest of the first quarter, however, was all Whittier as they went on a 10-2 run. 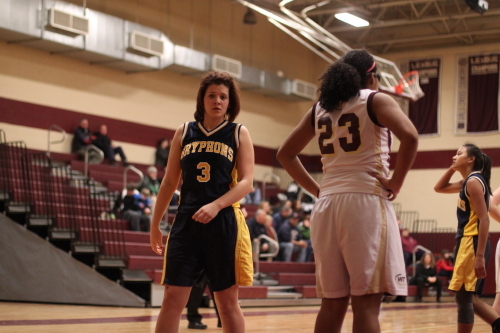 Sophomore Michaela Martin (24 points) turned two steals into baskets and also had a free throw during the surge. The Wildcats led, 17-7, after a quarter. 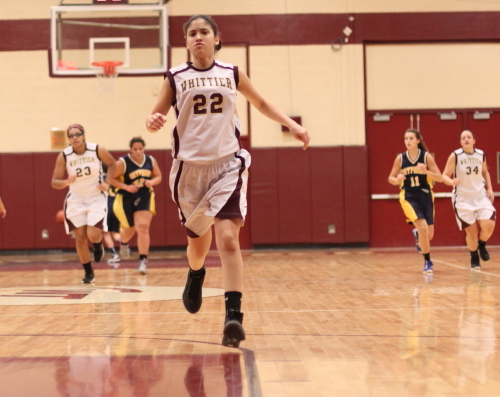 Whittier’s advantage was, 30-18, with three minutes to go in the second quarter. The Wildcats then did all of the scoring (six points) the rest of the quarter to extend their lead to, 36-18. 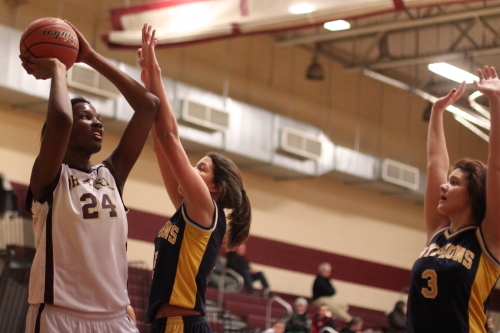 A successful jump shot by Samnell Vonleh (12 points) and two more layups for Michaela Martin produced the six points. 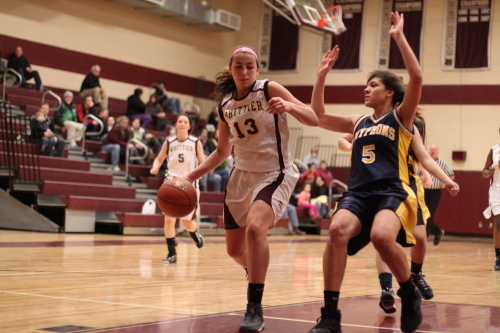 Taylor Sweeney (17 points) tallied eleven of her points in the first half for Greater Lowell. 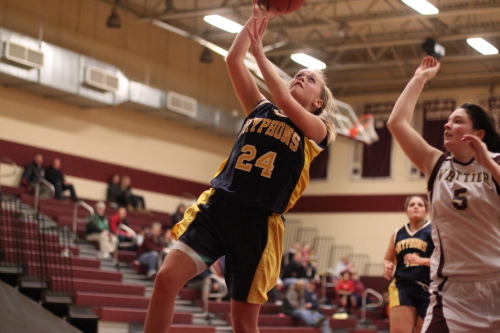 The Gryphons had thirteen turnovers in the third quarter and their deficit reached twenty-six (54-26). Kiana Guadaloupa connected on consecutive three’s in the final quarter. Both teams are in Division 4. It would be easy to see Whittier as one of the top D4 seeds in the post-season tournament. I covered Whittier’s home loss in the first round last season to Georgetown. The speed of Whittier was impressive. The Wildcats have one senior (Jose Sanchez). Most of the Whittier point producers were sophomores. Sophomore Samnell Vonleh (6’4”) is developing a touch around the basket. She can already rebound and block shots. I saw her brother (Noah) play for New Hampton Prep in their win at Brewster Academy. Noah has committed to Indiana. Greater Lowell has now lost two straight. They had a seven-game winning streak before the losses. Whittier coach Kevin Bradley did the pre-game introductions.